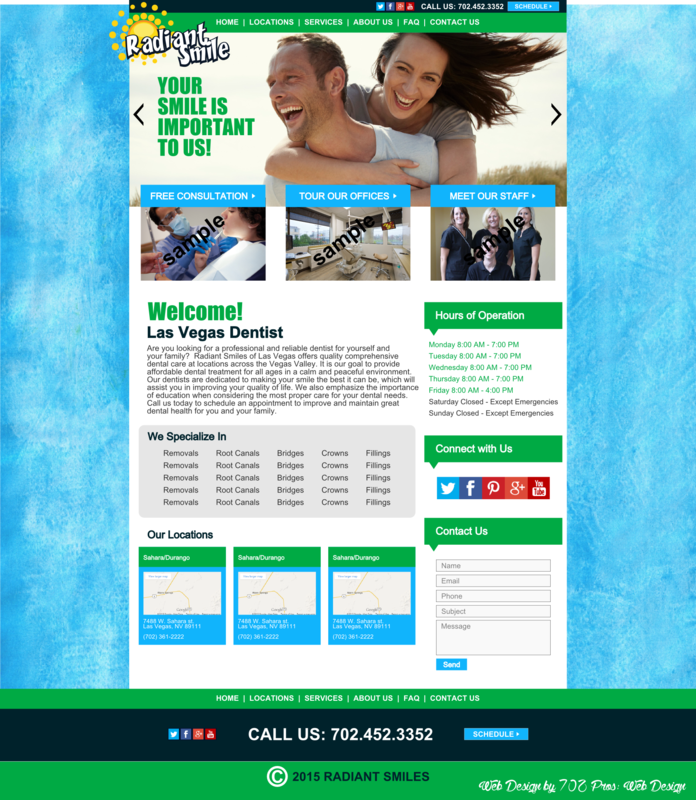 Radiant Smiles - 702 Pros Las Vegas web design, web development. Search engine optimization, digital marketing consulting, graphic design, and Branding. Here is the mockup for how your website could look. Let me know if you have any questions. BTW this is 100% IMS.